The craft gin trend is on the rise. With a staggering R700 million contributed to the collective R19 billion spirits industry in South Africa in 2015, it has been predicted that gin alone will contribute R1 billion to the economy during the 2017 financial year. Sugarbird Gin has taken flight off the back of this flourishing local distillery industry. The ingredients of this floral gin are sourced in the regions right where the female sugarbird thrives – on the slopes of our iconic Table Mountain – deeming it worthy of its name. Showcasing not only the mastery of the craft, it’s the indigenous ingredients and creativity behind the brand that are setting this spirit to soar. Aptly touted as ‘a creature of the Cape’, Sugarbird Cape Fynbos Gin (43% ABV) is a London Dry-style gin made using organic Cape Fynbos as its key accent. The addition of the rare, native Cape Fynbos serves to balance the traditional unsweetened spirit with floral and citrus flavours, giving this gin a fresh local twist. In particular, the fragrant Rooibos, Honeybush, and Rose Geranium along with coriander and cardamom notes provide a bold flavour and a long finish, rounded out by a dash of cinnamon, which is perfect either on ice or as a mixer. The team behind the gin – Rob Heyns and Nzeka Biyela (who together founded League of Beers), and winemaker and distiller couple Kelly and Mark Goldsworthy – are seasoned players in the Cape Town craft beer and spirit scene. But when they’re not concocting delicious drinks, they’re burning with a passion to sponsor aspiring entrepreneurs with their business ideas. “I’ve always been inspired by entrepreneurship as a vehicle for creative expression and positive change. The idea of Sugarbird inspiring creativity and entrepreneurship in others fuelled me to help bring this product into the public eye,” says Sugarbird founder, Rob Heyns. And if you didn’t know, Sugarbird Cape Fynbos Gin functions entirely on crowd-funding via Thundafund, making it a budget savvy drink that is accessible to a wide audience. And for every 1000 bottles bought, proceeds go towards granting bursaries to intrepid entrepreneurs (mostly female and previously disadvantaged) who have an idea which they would like to see bear fruit. But Sugarbird Gin have put their money where their mouth is: striking a special partnership with Koi group, they’re running a 2-Day ‘Idea Workshop’ to empower self-starting innovators to turn their ideas from thought to reality. Stand a chance to win 4 bottles of Sugarbird Gin, a 24 pack of Greenleaf & Terroir Gin & Tonic, and a 24 pack of Barker & Quin Indian Tonic, delivered to your door. Simply enter by following this link to our Facebook post and tagging the person you’ll be sharing your prize with. 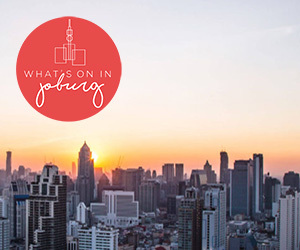 PLEASE NOTE: This competition is exclusive to What’s on in Cape Town newsletter subscribers. Not subscribed? Subscribe now. Draw takes place 14 December 2017. I would love to try this new Gin & Tonic out. Awesome for the festive season to enjoy it with friends. The best drink in the pink ! Yes please, awesome gift for the upcoming new year festivities. CHEERS !!! I don’t know what gin tastes like, I would love to find out. If I win this I will invite some friends over for a gin & tonic evening ! Gin is my new found love….so any new type of gin will be welcomed!